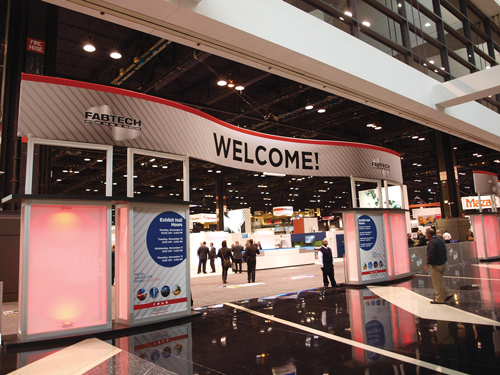 FABTECH is the largest North American event dedicated to everything needed to turn sheetmetal into finished products. With more than 1700 exhibitors across 750,000 sq. ft., FABTECH 2017, at Chicago’s McCormick Place November 6-9, will offer tools to improve productivity and increase profits to an expected 50,000 attendees seeking solutions to metalforming, fabricating, welding and finishing challenges. 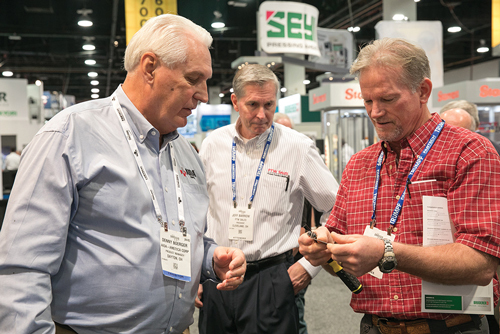 The event also provides educational sessions and expert-led presentations covering the latest trends and technology in the metalforming, fabricating, welding and finishing industries. For educational-conference details, see page 28. 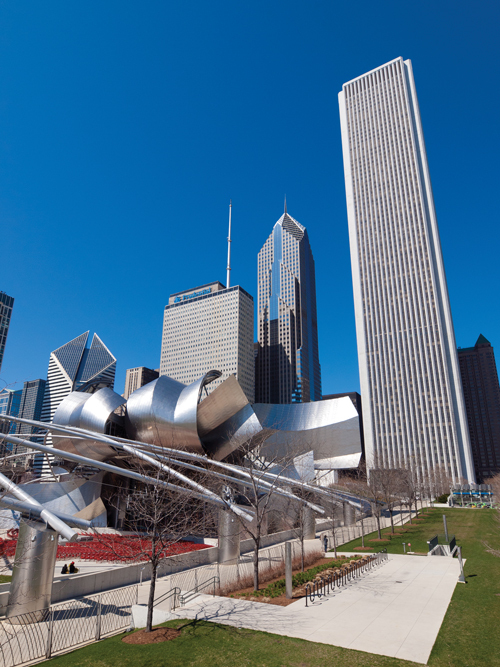 The show will encompass four halls at McCormick Place, where attendees will find a variety of technology pavilions, including Forming & Fabricating, Tube & Pipe, METALFORM, Welding, and Finishing. And this year, recognizing it as one of the fastest-growing technologies of the 21st century, FABTECH has added the 3D/Additive Manufacturing Pavilion (see sidebar). Also new: FABTECH, in a joint venture with Messe Düsseldorf, will showcase an expanded Tube & Pipe Pavilion to bring the latest technology from all over the world to meet the needs of users of tube-and-pipe profiles. In addition, Jesse James of West Coast Choppers fame, and sculpture artist Albert Paley, will collaborate to fabricate two metal sculptures, with each artist starting one sculpture but finishing the other. The completed sculptures will be unveiled at FABTECH and displayed throughout the show. The project is being documented by WXXI, Rochester, NY’s PBS station, which will release a 60-min. documentary following FABTECH. Monday, November 6	10 a.m.-6 p.m.
Tuesday, November 7	9 a.m.-5 p.m.
Wednesday, November 8	9 a.m.-5 p.m.
Thursday, November 9	9 a.m.-3 p.m.
Attendees also can partake of numerous special events at FABTECH, including keynote presentations, expert panel discussions and a special FABTECH Industry Night. Modeled after the TED Talks concept, FABx Tech Talks will spotlight speakers offering short inspirational talks on the topics of transformation, growth, advancement and expansion in manufacturing. Speakers include Adam Genei, founder of Mobsteel; Jesse James of West Coast Choppers; Karen Kerr, executive managing director of GE Ventures; sculpture artist Albert Paley; Jacques Panis, president of Shinola; and Michael Walton industry solution executive-manufacturing industry for Microsoft. Then, at 10 a.m., FABTECH 2017 kicks off in the Grand Concourse, with the unveiling of the Paley/James metal sculptures. Genei, creator of Mobsteel, is the subject of a meet-and-greet, from 10:15 to 11:30 a.m. in Ballroom S100 at McCormick Place. The Detroit, MI, native creates custom modern rides from vintage automobiles, mixing styles to represent his hometown’s past and future. And, from 12:30 to 1:30 p.m. on Monday, attendees can take in Advanced Manufacturing for the Next Industrial Evolution, an expert panel session. Here, the panel focuses on how advanced manufacturing is transforming the economy and jobs, using cutting-edge technology and new manufacturing processes to accelerate innovation. Panelists will discuss how their companies stay at the forefront of manufacturing advancements and how they embrace disruptive technologies to remain competitive and profitable. Participants include Sridhar Kota, executive director of MForesight; Jerry Foster, chief technology officer at Plex Systems; Karen Kerr from GE Ventures; Jacques Panis from Shinola; and Michael Walton from Microsoft. The new 3D/Additive Manufacturing pavilion is a natural fit for FABTECH, as nearly one-third of attendees have stated an interest in additive manufacturing (AM), seeing its potential not only in prototype and part production, but in production of workholding devices and production tools. The pavilion will feature exhibitors offering printing machines, hybrid equipment, materials, software and other AM-related products and services. 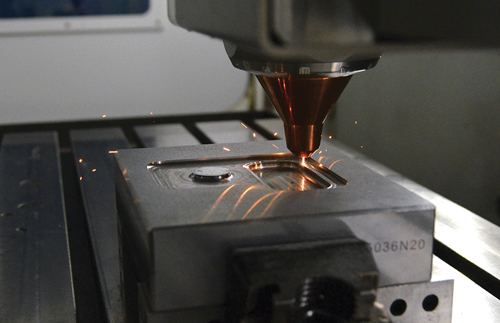 Accelerating Innovation in 3D Printing: Practical Tools You Can Apply Today, by Rick Neff, additive manufacturing product and sales manager, Cincinnati Inc. Expert panel sessions also are on the menu for the pavilion, with session titles including Hybrid Additive Manufacturing: The Future of Metal Parts Production? ; and Effectively Incorporating Additive Manufacturing into Your Business. For the latest on exhibitors, technologies and presentations slated for the 3D/Additive Manufacturing pavilion, visit www.fabtechexpo.com. And, be sure to visit 3D Metal Printing magazine, published by the Precision Metalforming Association, at Booth B83. Attendees can join Richard Rawlings from 8:30 to 9:30 a.m. for his keynote presentation, Fast N’ Loud. The cohost of Discovery Channel’s “Fast N’ Loud” series and founder of Gas Monkey Garage, a world-renowned hot-rod shop, will share his entrepreneurial spirit and discuss his career. The presentation promises to inspire manufacturers to innovate and take risks. A meet-and-greet with Rawlings follows his presentation. Taking the stage from 12:30 to 1:30 p.m. on Tuesday is the State of the Industry expert panel. Participants will explore the current manufacturing landscape and share how important the future of the industry is to the U.S. economy. The panel includes Michelle Drew Rodriguez, manufacturing leader at the Center for Industry Insights at Deloitte; Dr. Chris Kuehl, managing director of Armada Corporate Intelligence; and Chad Syverson, J. Baum Harris Professor of Economics at the University of Chicago Booth School of Business. Tuesday night, the scene shifts to Soldier Field, home of the NFL’s Chicago Bears for Industry Night. From 5:30 to 7:30 p.m., guests can enjoy food and drinks as well as a meet-and-greet with retired Chicago Bears Hall of Famer Dan Hampton. Advance ticket price is $50. Take in the Industry Night VIP Experience for an additional cost. From 7:30 to 10:30 a.m., take part in the Women of FABTECH Breakfast with Tech Tour, a networking breakfast celebrating the importance of women in the manufacturing sector. This event, which aims to foster relationships and dialogue between supporters and practitioners in the field, includes a continental breakfast and tech tour on the show floor. Price: $25. Wednesday’s keynote presentation, Inspiring Creativity in the Workplace, takes place from 8:30 to 9:30 a.m. Matthew Luhn, with the unique job title of original storyteller for Pixar Animation Studios, provides strategies for creating a culture that encourages and nurtures new ideas, and embraces fear and failing as a necessary part of the creative process. He demonstrates how to empower relationships and build trust through authentic communication. From 12:30 to 1:30 p.m. an expert panel session explores Innovative Approaches for Workforce Development & Recruiting Talent. Manufacturers that engage with their communities—including technical high schools and colleges, manufacturing summer camps for youth, and Manufacturing Day celebrations—are ahead of the pack when it comes to filling employment positions. Attend and learn from manufacturers and educators how to benefit from these approaches for building a consistent workforce pipeline. Participants include Brad Beckner, Chicago territory vice president for Kelly Services; Mike Cattelino, apprenticeship manager at Fox Valley Technical College; Laura Elsner, workforce development manager for DeWys Manufacturing; and Warren Long, commodity manager at Briggs & Stratton Products Group.